The Antithesis of Yoga is a nonfictional novel of the first 25 years of wonderful and terrible life in the City of the Future. Auroville India, The City Earth Needs near Pondicherry, is a global spiritual township started by The Mother in 1968. 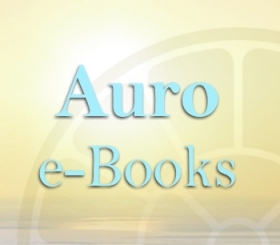 For those interested in learning about the history of Aurovile India, and would like to meet the fascinating people and hear the often amazing stories of the beginnings of this utopian experiment they can find here a first hand account of the tumultuous years of Auroville ́s early develpment. Roslyn, an American hippie single mother had imagined she had had a vision calling her to India. She traveled to Pondicherry overland across Europe and Asia, not knowing her destination was Pondicherry. She arrived with her eight month old daughter Bliss in August 1969. She thought she had found Shangri la. Pondicherry was nothing like anywhere she had been. It sparkled. She soon met many interesting, exotic people, John Kelly, a New York City fireman who had had visions of Mother and Sri Aurobindo in the trenches in WWII; and Ananta. a Boston Bhramin saddhu who had built a temple to Zeus on the island Mother had given him; the Countess de B, a hero of the French Resistance; the tantric guru, Panditji; and many others. But Roslyn was completely captivated by The Mother and Her vision and ideals for Auroville India. Roslyn’s first glimpse of Auroville India was a red eroded plain, pockmarked with impoverished villages. There was not a tree to be seen. There was no electricity in the area. There was 100% illiteracy among the villagers. But that was not what Roslyn saw. She saw a place where a utopia would be built by sun eyed children of a new dawn. There were many adventures, misadventures and challenges along the way. This book tells some of the story of the great adventure of the beginning of the town. Auroville India today is a town in South India visited by VIP’s, students and people from all over the world, the home of people from more than 30 countries, the winner of a Green Oscar, the site of the Matrimandir, and has applied for World Heritage status. It is a successful experiment in developing a spritual global community. Unmeasured breadths and depths of being are ours. Still have we parts that grow towards the light. Our path is towards a threefold union. First, on the path of integral yoga is the yoga of knowledge, in spiritual essence by identity. Second is the yoga of devotion, to liberation from ignorance and identification with the real and eternal. Third is the yoga of will in union by dwelling in our soul in the highest being, consciousness, dynamic union of likeness or oneness of nature between that and our instrumental being. Knowledge is the growing consciousness of a consciousness above deciding the movements of mind. The sign of transformation of the mind is experienced with a controlled change of consciousness, with a growing direct experience, vision, feeling of the Supreme; a growing recognition of the Divine in itself, in all things. The mind is taken into a growing preoccupation and will feel itself widening into a more illumined means of expression of the one fundamental knowledge. The central consciousness will take up more and more the outer mental activities of knowledge and turn them into more and more spiritualized mind, an instrument on the surface as well as in its own deeper spiritual empire. Love is the deepest and most intense knowledge, the highest luminous cave of nature. The dynamic process is the development of the true soul to take the place of the false soul of desire, the sublimation of human into divine love, and the elevation of the consciousness from its mental to its spiritual and Supramental plane, where power has both the soul and life force and can be utterly separate from the veils and prevarication of the ego. The psychic has a flame of will insistent on perfection, on an alchemic transmutation of nature. The most intimate character of the psychic is pressure towards the Divine through joy, love and oneness. Nothing belongs to anybody in particular in Auroville India. 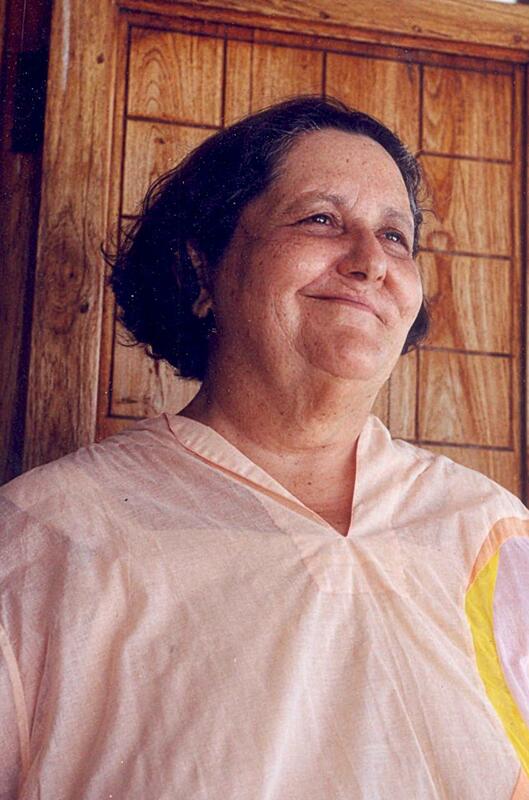 Roslyn had lived in Auroville India for twenty years. Then she had lived for two years in California. Because nothing belongs to anybody in particular in Auroville when she returned in 1990 she could not reclaim the house she had been living in when she left. The only empty house she could find was the house built by Jim Bean. He had been her “true love” who stopped talking to her nine years before he died. He promised Dhyan, who had fallen off the Matrimandir — the Sanctuary of Truth in the center of Auroville India — and broken her back, that until she could walk he would not talk to Roslyn. In 1986 Jim Bean died and Dhyan committed sati. They had been in the process of building the house. Nobody could figure out what to do with the house. It became a guesthouse. It was oppressively gloomy and dirty and empty when Roslyn returned to Auroville India. She moved in because she had no other place to stay. She had not wanted to come back to Auroville India. She had gone to the house only once before, to pay last respects to Jim Bean’s body, before he was buried. That day the house was entirely gray, cement and stone, looking like Gormenghast. The house was an amazingly beautiful space, and as the grime slowly dissolved with Vim powder and elbow grease. The memories of the good old days surfaced. Sometimes she felt Jim Bean was there with her in the house. Roslyn had been fleeing from her memories. She had escaped to California. The time had come for her to face the memories, and she felt fate’s irony that she was in that house which was the symbol of the story. The house rises lonely and majestic at the edge of a canyon, at the end of a road, in the middle of a forest. There, one could transcend loneliness; the peace of solitude is possible. The house is built into the land in harmony with the movements of the sun and moon. It is exquisite. In the summer the front of the house receives and absorbs the sun and acts as an umbrella to shade the terrace. In the winter the sun shines on the terrace, so it is never unpleasantly cold: unless it rains for too many days in a row. Roslyn had to face the shockingly tragic deaths of Jim Bean and Dhyan to find the beauty in the house. The whole place seemed covered with a gray miasma of nobody-cares-enough. Her days of returning to Auroville India became days of pain, exhaustion, and helplessness and she felt as if they would again overwhelm her. She wept and wept and wept, as though the tears could change the past. Even five years after the deaths of Jim Bean and Dhyan the loss was undiminished. They were also part of Auroville, part of the great exciting adventure that Auroville promised to be, and so completely committed to Auroville India that they would not live anywhere else. They died before the house was finished. Having no other place to go, Roslyn had gone there and found herself in the monument which Jim and Dhyan had built. It had become a guesthouse. She entered as a guest, and was given a room upstairs on the terrace that was worse than bleak. It was grim. It was a cell. The mattress was hopeless. There were cupboards for her clothes and cosmetics. The bathroom was grim. The kitchen was filthy. The white walls were overlaid with a patina of grime. The cupboards were full of ants. The house was full of flies during the day and mosquitoes and bats at night, and occupied by a fleet of frogs. It was looked after by a caretaker, Heinie, who had been given the house to look after by Dhyan’s daughter’s father. When Roslyn mentioned it was very dirty, she was told to leave if she did not like it. She had nowhere to go, so she shut up. But every morning, as a type of spiritual practice and a gesture of respect to Jim Bean, she spent twenty minutes scrubbing a bit of the house with a brush and soap and Vim powder. She went around the house opening the windows, which at once transformed the gloomy cavern into a box of light. She felt that Jim Bean was alive in a spiritual dimension in the house, as a friendly spirit. Once upon a time Roslyn had been very very young, in the star shower of laughing gas, during the era of strawberry fields forever. Her parents had given her every comfort, care and advantage they could imagine. They were sadly disappointed with how she used those gifts. She found herself on a rainbow bridge between the past and the future. In 1969 Roslyn had been twenty-five years old, and she had a little baby. She had been wandering around the planet for years. At sixteen, she had graduated from high school. At 17, she had been suspended from college because she had hardly attended any classes, having fallen in love with canasta, broken her leg, and failed nearly all her courses. She worked and traveled for a couple of years, and went back to college. She wandered in Mexico during vacations, and finally dropped out. She lived in Mexico in a tent of orange and white parachute silk. She spent some time with her sister in New York working for an advertising agency. Then, again back to school. She met and joined a tribe of hippies with a bus full of peyote, who were looking for The City of God. She lived with them on a mountain near a canyon and became pregnant. Sitting in a friend’s house, looking at a painting, she had a vision that told her to go to India. She flew to New York, visited her family, worked for a few weeks, and bought a ticket on a freighter to Antwerp. Her father, Bernie, drove into New York to say goodbye, and assured her that he would send her $100 a month regularly as long as she wrote to him regularly. The boat docked at Antwerp. It was a heavenly crossing. She did not really meet or speak to anyone else on the boat, but sat on the deck watching the sky and sea, and enjoying the breeze. Bliss was born in Berlin a few days before Christmas. Roslyn’s father, Bernie, flew to Berlin a few days after the baby was born. Roslyn had not told him she was pregnant, and he was slightly surprised that his little girl had a little baby. She felt that she had been called to India by some far-out guru. Her intuition agreed with what she wanted to do: go to India with the baby. Bernie did not expect the baby to survive. He did not expect Roslyn to survive; but, he knew if he sent money regularly he would hear from them regularly. She entered the Sri Aurobindo Ashram for the first time at about 11:30 in the morning on August 7th 1969, with Bliss on one arm and a carpetbag containing all her worldly possessions on the other arm. It was a hot sunny morning. She had been traveling around India and Nepal with Baby Bliss for months, and was ready to write her father and ask him to send a ticket back to the USA. She was tired. She had ventured far and wide searching for wisdom, understanding and truth, and had found nothing. It did not matter where she was; it was always the same. She was beginning to feel that she and Bliss were alone against the world. She felt that men, hotelkeepers, shopkeepers, were all trying to take advantage of her, a young foreign woman, alone with a baby. Money seemed to be the one thing that had universal respect. Spirituality seemed to be an illusive fiction. Wrenched from a cramped world where she felt she was dying of psychic asphyxiation to another dimension where she had to take a lot of deep breaths, for the world was constantly revealing itself as nothing like what she had always imagined it to be. She wanted to write, but even more than that, she wanted to live, to know, to experience this world, and understand some of its mysteries. She decided she would perhaps break the long journey by bus, train and boat to Ceylon in Pondicherry. She had loved the white sandy beaches in Mexico, the long tropical days, warm nights and clear sky. After days of travel from Katmandu by bus to Patna, then by third class train to Madras, she could not bear the thought of another two days on the boat train to Colombo. She took a bus to Pondicherry. She got off the bus in the Pondicherry bus stand, and into a cycle rickshaw. She got into one of the less rickety looking. There was even some tread on the tires, and the driver looked younger, stronger and healthier than most of the other rickshaw men. Some of the rickshaw men looked as if they were in a bad way. One had a terrible leg, swollen grotesquely with elephantiasis; another had leprous stumps instead of fingers on one hand. She seemed to be the only white faces in the crowded bus stand, barefooted, with Bliss on one hip and her Afghani carpet bag over her other shoulder, wearing bright red cotton pajamas. Many women covered in white sheet like cloths, stopped to look at her, as she negotiated with her rickshaw driver how much she would pay for a ride to The Ashram. The women would stop and stare. Local Muslim women, their heads and bodies covered with white cloth, under which a lovely skirt, or a ragged skirt, or an ankle bracelet flashed, or a glimpse of a nose ring, with a child on one hip and another by the hand. Women and men carrying children, bags and chickens walked together in groups of twos or threes. Roslyn sat in the rickshaw and her driver slowly pedaled through the throng in the bus station. The women seemed to be giggling beneath their veils. Roslyn sat in her rickshaw moving slowly among the sweet sellers and flower vendors trying to press their wares on her. She had asked the driver of the rickshaw to take her to The Ashram, but she could not remember the name of The Ashram. “Ashram” was enough for the scruffy driver to set off into the stream of bicycles riding north. They rode slowly past people balancing baskets on their hips or heads, beggars, children, and a flock of ugly gray dirty buffalo. Little shops made from palm leaves lined the edge of the crowded bus stand. They rode through teeming streets with pigs eating offal, and smartly clad men and brightly clad women in pretty saris with bright bangles. The streets were full of bicycles and rickshaws, people and animals. There were not many motor vehicles in the town. The shops were full of saris, sweets and brassware. Policemen with whistles directed the thronging traffic at the crowded corners near the bazaar. They passed through a charming small park, and through quiet streets where all the walls seemed to be painted the same gray/blue/white color. There were not many people on the street at that hour in that part of town, and the few Roslyn saw seemed to be wearing white and looked a bit ethereal, walking or cycling on the streets. The people were all in spotless gleaming white clothes, moving quietly and purposefully along the streets with the gray/white/blue walls, in a different rhythm to the people they had passed on the street in the bus stand and bazaar. There were gates, doorways, trees along the streets, and flowers peeping over the walls. It was certainly cleaner and quieter than any place Roslyn had seen in India. The rickshaw stopped in front of an open door in the gray/blue/white walls. He wagged his head, and asked her for ten rupees. He had agreed at the bus station to take her to The Ashram for five rupees, but it had been a very long ride, so she gave him six rupees, and he smiled. She took Bliss and her bag and entered the gate, barefoot, wearing her bright red pajamas, her dark hair standing out several inches from her head in every direction. She walked through the gate. There were flowers to her right and left. In front of her were steps leading to a porch where several men wearing white were sitting on chairs. “I am looking for a place to stay for a few days.” Roslyn replied. “This is the Sri Aurobindo Ashram,” he replied. “Guesthouses, yes, would you like to put your bag down?” He asked kindly. “Yes,” she said with relief, and let the bag drop from her shoulder to the floor. “You may leave it here,” he said, pointing to an empty space next to an umbrella stand to the left of the steps. “Here, take your seat,” one of the other gentlemen in white said, pointing to an empty chair. “I would like to have a room in a guesthouse for a few days, if that is possible,” she said. “Would you like to sit here and wait for him?” The man in the blue turban asked. “No, I think I will go find a place to eat in town,” she replied. “May I show you around The Ashram?” he asked. She had read Hesse’s “Journey to The East”, and thought it would be bad form to refuse, so she accepted his offer to show her The Ashram. “I don’t know,” she replied. She had planned to stop for only three days. Her money was running out, and she needed to write to her father for more. She had been planning to ask him to send the money and the ticket to Colombo, but she could stay in Pondicherry and wait for more money and then write for the ticket from Colombo. Her guide led her across the courtyard into a smaller courtyard, and pointed to the door of the office that would be open in the afternoon, where she could get permission to stay in a guesthouse. Then they went through one of the graceful concrete arches at the end of the little courtyard into a great entry hall with marble floors. On the other side of the hall was a photo of Sri Aurobindo, set in the center of his symbol, a six-pointed star with a square in the middle. Roslyn looked at that photo and it was as though little bells went off all through her body. She quickly turned away. She had come to India on a spiritual quest, but was not even interested any longer. If there was something there, she did not want to know about it. Her guide led her back through the little courtyard, and into the central courtyard of The Ashram. He led her towards the big tree in the center of the courtyard, and told her that Mother had named that tree “The Happiness Tree.” He pointed to the flower-covered marble slab in front of the tree and told her that was where Sri Aurobindo was buried. Again, she heard the little bells. She tried to ignore them and keep walking, back through the garden to the porch. She thanked her guide, and asked him if he knew of a good non-vegetarian restaurant. “I do not know,” he replied regretfully. “You may leave your bag here,” he offered. Roslyn had lunch in a place that had a separate eating room for ladies. It was pleasant and private, and she ate heartily, fed Bliss, and went back to The Ashram. Her bag was still sitting next to the umbrella stand. Her friend in the blue turban greeted her. She thanked him and went with Bliss to the office. The French doors were open, and there was a very big desk surrounded by bookcases full of books facing the doors, but no one was sitting at the desk. She turned her head and saw a large man wearing thick glasses peering over the top of his glasses at her. “I am looking for a room in a guesthouse,” she replied. “You will need a room for how many days?” He asked. She was very tired, and was happy to sit down. He set aside the book in front of him to speak with her. He put another paper in front of him and picked up his pen. He asked her for all the details on her passport. She responded without going into her bag and getting her passport, because she had memorized all the numbers; she had been asked for them so often. After she had given him the details he asked for the passport and checked it against what she had written. He double-checked everything, then handed back the passport and gave her a form to sign. She was glad to agree to anything. She offered to pay in advance. “Thank you very much” she said, taking the card and going out to collect her bag from the porch. She asked a rickshaw driver to take her to Castelini. The Dining Room was on one side of the park, and the guesthouse was several blocks into the town on the other side of the park. There was a wall in the glowing gray/blue/white tone of The Ashram, and a polished open teakwood gate. She paid the rickshaw man and he handed her her bag at the gate. Barefoot in her red pajamas, she walked into the garden. She carried Bliss in her right arm, her bag on her left shoulder, up the wide steps through the pillars onto the marble verandah. It was an inviting place, but utterly silent. She felt like Alice in the rabbit hole. The French doors on the left led to a staircase, and the French doors in front of her led to a huge living room with beautiful oriental rugs on the floor and Victorian furniture with antimacassars. She walked into the room, saying, “Hello,” but there was no-one there. The ceiling was at least fifteen feet high. As there was no-one in the room, she walked through to another set of doors, out onto another verandah, where she found a very quiet man dressed in starched and ironed white shorts and shirt. She had not washed her feet since Calcutta. “May I help you,” he asked her very quietly. She showed him her little green card which said that she, Roslyn, was a guest of the Sri Aurobindo Ashram at Castelini Guesthouse. He took the card without looking directly at her. He was very shy. Finally, after studying the card for a long time, he introduced himself as the manager of Castilini Guesthouse, and asked her to follow him to her room. He took her upstairs and showed her a very clean and pleasant room, off a large sitting room. It was a corner room, full of light, with fresh flowers on the dresser under a photo of The Mother and Sri Aurobindo. “Thank you very much. What should I do with all my dirty clothes?” she asked. He assured her that a servant would be along to fetch the dirty laundry in the morning, and would bring her back clean clothes in the evening. The servant would also put up her mosquito net in the evening and take it down in the morning and make up the room. Would she like bed tea or coffee? “Tea,” she replied, because she never drank coffee; but then she had never been offered ‘bed tea’ before. She thanked him and he left her. Roslyn and Bliss seemed to be the only people around. They had not seen or heard anyone else in the enormous house except the manager. Their room was off a large sitting room full of oriental rugs, Victorian sofas and love-seats with antimacassars artfully arranged, but looking as though no-one ever sat in that room. There was not even a speck of dust on the polished end tables. There were two sets of open French doors, one leading onto the front verandah in the front of the house, and the other leading out onto the back verandah. The room was full of the fading light of late afternoon, and there were two silent ceiling fans painted the same color as the trim on the walls. The room and the house were painted in delicate shades of the gray/blue white color of The Ashram buildings; it had a very pristine and safe atmosphere. There were doors against the far wall of the large sitting room leading to other guestrooms, but these doors were closed, and the curtains outside the open doorway were tied back. There was no evidence of other guests. It was very silent. It was completely different from anything Roslyn had experienced in her travels. There did not appear to be other guests. Roslyn figured that if she got too bored she could leave after two or three days as she had originally planned, but first she needed to wash and change and rest. The bathroom was great, all white tile, and had endlessly abundant running water. The grime of days of travel was quickly dissolved, and after a few minutes, even her feet were clean. She did not have any shoes. All of Bliss’s things needed washing, so she washed a couple of things, and as it was very warm Roslyn felt it was okay for Bliss to be naked. Roslyn had taken off her dirty red cotton pajamas and put on her clean orange pajamas. Her hair was clean, but it still stood straight out from her head. They were clean and ready to go, but she had no watch and did not know what time it was. Roslyn was thinking about walking towards the Dining Room. She really wondered what time it was. She still had not seen anyone else in the guesthouse. She walked over to the French doors to the back verandah, and saw someone sitting there, a big man, with red hair and beard, wearing mauve pajamas. He was sitting on a blue rattan chair next to a blue round table. There were several empty blue chairs around the table. She walked out onto the verandah with Bliss in her arms and looked out onto a splendid rose garden. Roslyn turned to the red headed man in the mauve pajamas and asked him what time it was. The red headed man was looking at her, but did not seem to have heard her. Then he asked her if she would like some beer. “What the hell do you drink?” He asked. “Coca-Cola with ice,” she replied. I enjoyed reading this book, and learned many interesting things.